French biotech Abivax might be on the verge of HIV cure and prevention discovery, after achieving a significant reduction of viral load patients during the first 28 days of treatment. The company has announced results from the first group of patients in its most recent phase 2a trial testing the potential HIV cure treatment codenamed ABX464. The study aimed at accessing the effects of Abivax treatment on HIV DNA in blood and in rectal tissue in HIV patients and was conducted at the Germans Trias i Pujol University Hospital Badalona in Barcelona. The first nine patients were treated with 150mg/day dose for 28 days. In this first cohort, eight out of nine patients showed a decrease up to 52% in HIV DNA in blood between the start and 28th day of testing. In the second part of testing dozen of patients have been treated with only 50mg/day for three months to evaluate the potential of lower dose. Eight patients completed the full duration of the study with four of them showing a reduction in total HIV DNA ranging from 2% to 85%, and four patients experienced an increase of viral load between 5% and 36%. This announcement in only one of several good news in HIV treatment progress. Janssen’s single-tablet regimen Symtuza has been approved last year by the European Commission for the treatment of HIV in the EU. 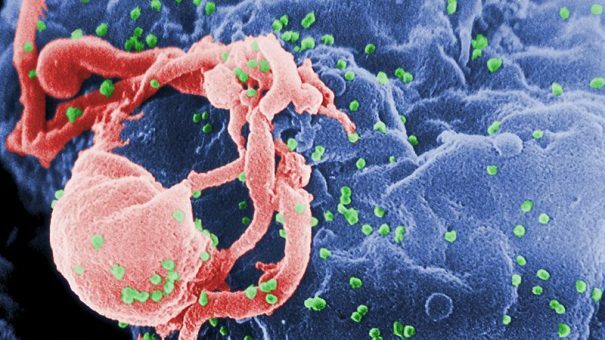 Sanofi is also working on an antibody HIV treatment that can kill 99% of viral strains. The breakthrough of Abivax’s study results is that their HIV treatment could potentially remove the virus completely, induce long term control of the viral load and even prevent the emergence of HIV mutants in the future.